Sydney Opera House has struck a two-year partnership with Adobe to roll out the vendor’s complete Marketing Cloud stack as part of its digital transformation plans. The events venue, which already uses Adobe’s Creative Cloud solutions, will now implement the Adobe Marketing Cloud in an attempt to better engage with audiences and visitors across Web, email, mobile apps and social channels. The agreement will also see the Opera House host activations and events by Adobe aimed at showcasing digital’s impact on creativity, technology and the performing arts. Sydney Opera House has more than 8.2 million visitors annually, some of which attend events within the venue, and many who only experience the site virtually or from the outside. In a statement, the venue said adopting a marketing technology solution will help to create and deliver more timely, seamless and inspiring experiences. Herron also noted the site’s founding act from 1973 charges the venue with innovation. “Renewal is about taking the same approach to ensure this World Heritage Listed masterpiece of human creativity continues to evolve for future generations – from the building and the art performed on its stages to the experience we offer visitors,” she said. Specifically, Sydney Opera House will initially be rolling out Adobe Experience Manager for sites, forms and assets, along with Social, Analytics, Campaign, Target and Audience Manager platforms. A spokesperson confirmed work is already underway to deploy the tech stack and is expected to take about 12 months, followed by ongoing optimisation. The project is being led by head of digital transformation, Chris Daniels, as part of the Opera House’s new engagement and development portfolio. 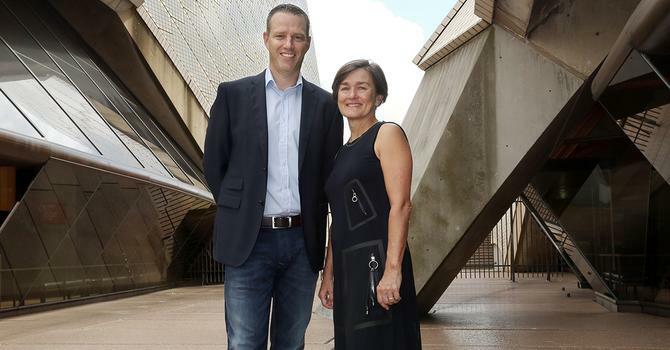 Daniels is also collaborating cross-functionally with a number of teams, as well as with Opera House CTO, Nic Boling, and the venue’s newly created visitor experiences portfolio. Adobe Asia-Pacific president, Paul Robson, pointed to the synergies between the vendor’s heritage in creative solutions, and the Opera House’s creative focus. “Creating an exceptional customer experience across all touchpoints is everything and the Adobe platform will help the Sydney Opera House to engage with audiences and visitors on a level that ahs never before been possible,” he said. Adobe Marketing Cloud is a combination of eight key products: Analytics, Audience Manager, Campaign, Experience Manager, Media Optimizer, Primetime, Social and Target.